The Junkadelic Brass Band is an incredibly versatile 'Funk-On Junk' machine that can create sweet, sweet beats for every situation! Find out the the many forms of Junkadelic below. Seeing the Junkadelic Brass Band in full flight on the stage is truly something to behold. Featuring a full set of original repertoire along with unique interpretations of high-energy classics, Junkadelic can have a crowd up and dancing like no other. Having toured around the world to places like The U.S.A, Hong Kong, and around Australia, we are yet to find a crowd we couldn’t get having the time of their lives! To find out how to book Junkadelic for a stage event, ‘Contact us’. Who needs a stage when we can get right down and into the thick of the action!? Due to our unique line-up and self-sustaining setup, Junkadelic can be ready to party in just about any location. Having performed to large crowds of people at street festivals around the world, our sound is perfectly suited to this kind of environment. For more information about how you can book Junkadelic for your next street based event, get in touch! ‘Contact Us’! One of the main things that sets Junkadelic apart from many other bands is our ability to take our high-energy performance style on the go! Junkadelic bases itself off the model of the traditional New Orleans style brass band, which is world famous for its unique ‘Mardi Gras’ street festival, where the bands and parade floats line Bourbon Street in late February every year in colourful celebration. If you are looking for a band that can really take their show on the road, and act as the pied pipers of fun for your event. ‘Contact Us’ and see how we can really bring the party no matter where it is! 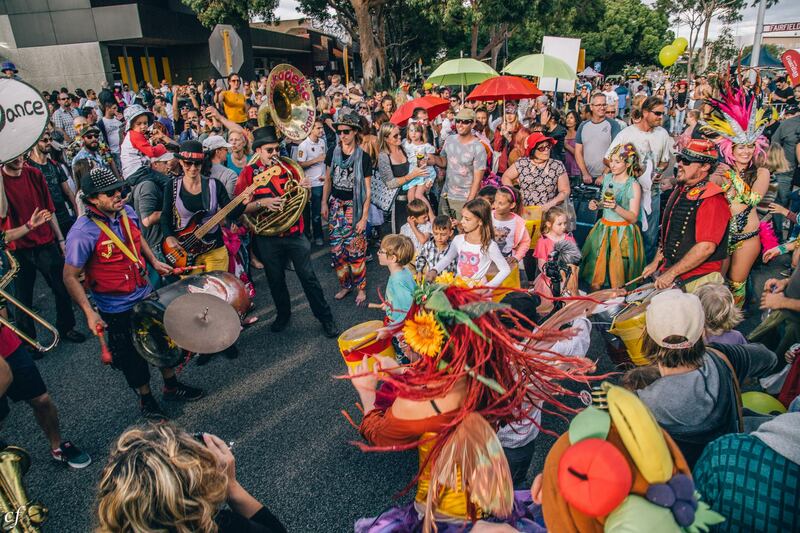 "I have known the Junkadelic band since it's early days - and seen it grow from a community arts percussion group to one of Perth's most talented and entertaining Funk/Jazz bands. 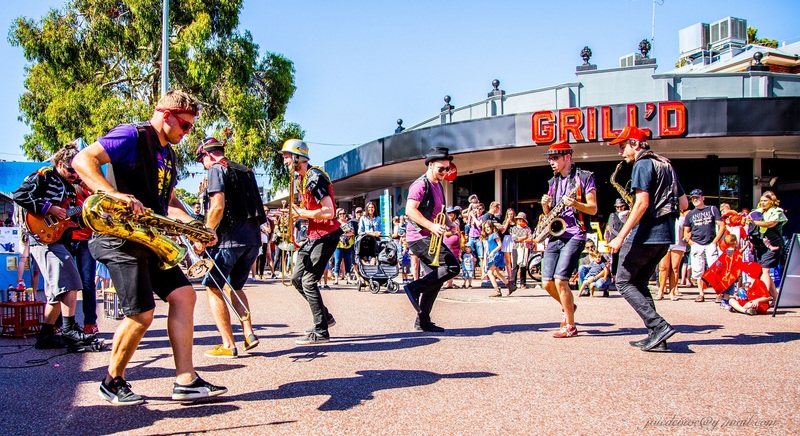 All this time they haven't lost their connection with community - and are constantly conducting workshops with young people all over the state - and recently internationally - and are all about breaking down the barriers between musicians and audience. It is for this reason that I have never hesitated to book them for street and community events that I have had the pleasure to organise."